This was designed to be used to retrieve DNA sequences after recombineering of a BAC clone. The plasmid contains a diphtheria toxin selection gene, DT-A, cloned between the Kpn I and Sal I restriction enzyme sites of pBluescript KS+. This will place it outside of a homology arm in a gene targeting vector, thereby eliminating the need to use a HSV-thymidine kinase gene and gancyclovir in a gene targeting experiment. 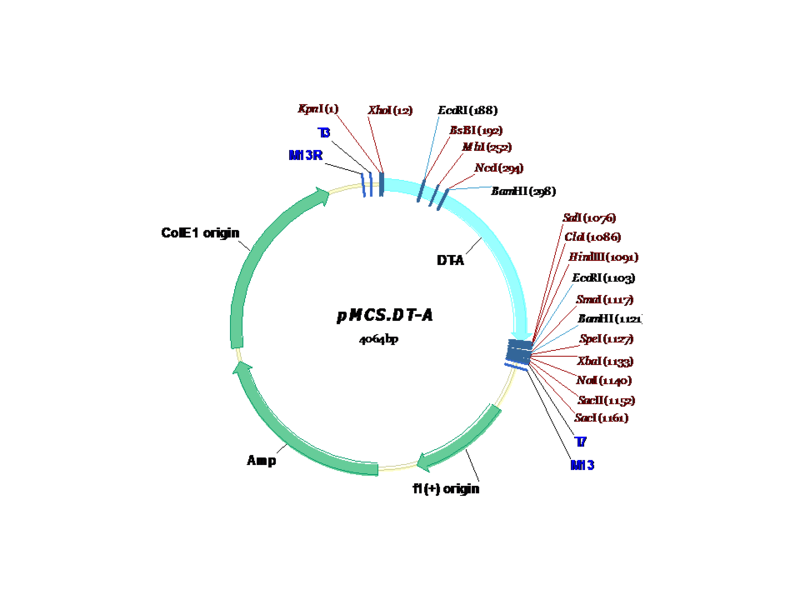 This plasmid was previously call pBS.DT-A and renamed when submitted to AddGene.